If you want to exclude certain categories from society, in particular these categories of significance, you have to search for a substitute to fill the gaps. 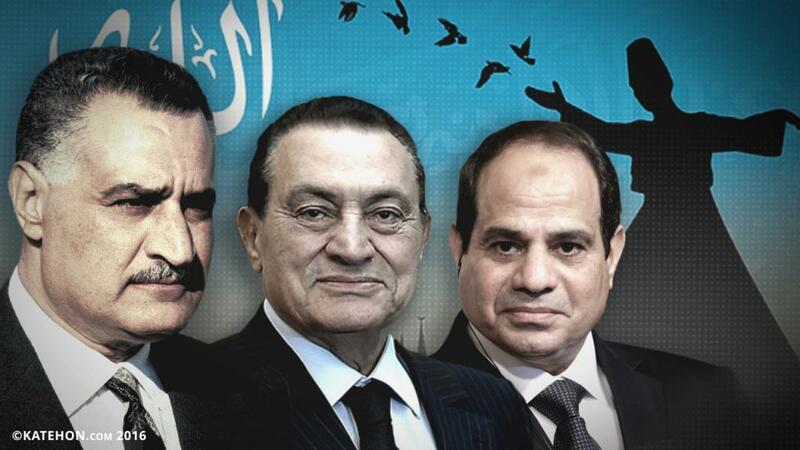 By the exclusion of political Islamic groups, especially the Muslim Brotherhood, the Egyptian Scene drives the regime towards searching for a substitute. So, has the El-Sisi regime managed tousing the orders of Sufism in filling the social gap resulting from expatriating the Islamic groups? And what are the consequences? As it is in general tradition, Sufism is considered a doctrine, yet the person who engages in Sufism has never tended to classify it as a "doctrine", but rather a path to reach a pillar of religion, which is "Benevolence", through being devoted in worship and exerting effort in performing it, in addition to purifying the spirit and heart from resentment. If we want to learn about the origin of Sufism, we encounter a lack of information, as there is no a confirmed narration about the inception of Sufism internationally. On the other hand, much literature states that the date of Sufism's origin and its entry to Egypt is the Fatimid Era; due to the Fatimid Dynasty`s interest in the life history of the Prophet as well as the people of his house (Ahl Al-Bayt), therefore they undertook building shrines to protectors and pious people. Then, the Abbasid Era started where the Sufis` movements increased against the prevalence of deterioration. In order to face such deterioration and corruption, they used what is called a "spiritual exercise" which includes holding circles for remembrance of Allah - chants (Dhikr) after the Night Prayer (Salat Al-Isha) in the mosques of Egypt. However, the actual legalization of Sufist orders in Egypt was made by "Mohammed Ali Pasha" in 1812 by issuing a decree, placing the Sufist orders under the banner of "Sultan Sheikh Al-Sejadah AL-Bakriah (Abu Bakr Family Tree)"; which is considered the first time these orders had submission to a central authority. Now, there are between 74 to 77 Sufist orders, which are branched from six main orders: the Desouki order, the Shadthili order, the Rifa`i order, the Bedouin order, the Azmiyah order, and the Qadiri order. These orders are organized under the banner of three corporations: the Supreme Council of Sufi Orders, the World Association for the Assembly of Ahl Al-Bayt, the Descendants of Prophet Union. According to the Secretary General of the Association of Sufi Forces and Ahl Al-Bayt Assembly, Abdullah Al-Nasser Helmi, half of the Egyptian population is Sufi, yet this information is not confirmed, as there are no accurate statistics. However, the main reason behind such saying is that the attendants of Sufist sessions in Egypt are a lot and their rituals are considered semi–public in the country; that creates confusion between the real Sufi person and the one who just attends their rituals. Much literature indicates that Sufist orders have a political role in Egypt. For example, in modern times, the Sufis played a role in the 1919 Revolution, through their attempt to collect signatures supporting the existence of English occupation in Egypt, with the help of "Mohammed Ibrahim Al-Gamal" the Sheikh of "Assadah Assimaniyah" at that time. Since the emergence of the Egyptian Republic, Sufism was brought to the scene in an attempt to fill the gap resulted from the actions taken against other Islamic organizations. For example, in the era of the late President Gamal Abdel Nasser and amidst the confrontations between him and the Islamic movements, a decision was issued to appoint Sheikh Mohammed Mahmoud Elwan as a sheikh of the Sufist orders. This is considered the first of its kind, to elect a head sheikh of Sufist orders through appointment, with a little objection from the Sufist orders. Moreover, Sufism then was a shelter for any who one wanted to deny the accusation of belonging to the Muslim Brotherhood, and at the same time it (Sufism) expresses the existence of religious support to the regime at that time. The Era of Sadat was not greatly different as he made the Sufist orders yield to Law No (118) of the year 1976, which has regulated more accurately the status of Sufist orders and created a kind of strategic alliance between them and the regime. For example, the Sheikhs of Sufist orders slipped into the Egyptian army and were allowed to make an endeavor to rehabilitate the army and boost their morale after the defeat of 1967. The Muhammadiyah Shadthili order had a significant role in this regard, which drove President Sadat to honor Sheikh "Zaki Ibrahim" the head of Muhammadiyah Shadthili order and granted him the Golden Excellence award. The beginning of the Mubarak era was not greatly different from that of Sadat in relation to dealing with the Sufis and utilizing them as a religious cover for the regime. However, a few month before the beginning of January Revolution, a clash happened between the Mubarak Regime and the Sufis due to the appointment of Sheikh Abdel Hady Al-Qasabi, by Mubarak, as a head of the Supreme Council of Sufi Orders since he was a member in the National Party; the matter which provoked anger to the Sheikhs of Sufist orders and was considered to be a flagrant interference and violation of the Sufi customs and traditions. They expressed their anger by the threat made by Sheikh Abu El-A`aziem to run against Ahmed Fathi Sorour the Speaker of the People`s Assembly in the 2010 election in the district of El-Saiydah Zienab. If we want to know the nature of the relationship between the current regime and Sufism, we have to get back to the political attitudes of Sufist orders since the 25 January Revolution, until El-Sisi has held the presidency of Egypt. The Sufist initiation during the Revolution of January was justifiably soundless according to the statement of Mohammed El-Shahawi the Sheikh of El-Shahawiyah order based on the principle "Obey Allah, and obey the Messenger and those of you in authority"; yet this attitude has not lasted for a long time, once the signs of the January Revolution success have appeared, the Sufist orders took a serious step towards declared political activity. The Sufist orders have tended to establish political parties, a head of which is the Al-Tahrir Party. Despite the religious trend which appears in Sufist orders, they were the most hostile group against the Muslim Brotherhood and Salafism, to the extent that they have allied with the liberals against them. Once President Abdel Fattah El-Sisi had appeared in the scene and announced his nomination to the republican presidential election, the Sufis turned to advocate him under a proclaimed motive that he is "Sufi" as per the statement of "Zein El-Abedin Fahmi Salama", the head of Caliphs of Al-Refaiyah order –El-Minya, who specifically said "El-Sisi loves the Sufist orders because he is originally a Sufi". After El-Sisi came to power, the Sufists pursued their approach of supporting him to the utmost, where some of them say that "Mohammad, the Prophet of Islam, (Peace be upon him) is satisfied with El-Sisi" as quoted from Sheikh "Alaa Abu El-A`azeim", head of the World Federation of Sufi Orders. The matter was not limited to statements only, but also the Sufi orders have organized, in cooperation with the Ministry of Awqaf, launching a forum of "Sufism against Extremism" in June 2015, after the call of President El -Sisi for renewing religious speech. Why do regimes resort to Sufi orders? The answer to this question is simply summarized in the attitude of Sufi order towards other Islamic movements, which expresses clearly hostility against both the Muslim Brotherhood as well as the Salafism. Many statements were said by the Sheikhs of orders indicating such fact. For example, " Alaa Abu El-A`azeim" has said that "the endeavors of the Muslim Brotherhood and the Salafi movement to involve in official political activity threaten religious tolerance", in addition to what was said by one of the Sufist orders Sheiks, Ismail Tawfik, that "the Sufi votes in the Parliamentary election will not be for any candidate belonging to the Muslim Brotherhood, the Salafi movement, or the Islamic groups". According to what is above mentioned, the relationship between the Sufi orders and regimes is a changing one, in which the interests in favor of the regimes are weighted. The reason behind this may be the weakness of the Sufi orders; so, is it possible for the Sufi orders, once they become strong, to convert against the regime. Whether we like it or not, the Sufi orders are an inclusive organization that is not different from other Islamic organizations. In the relationship between the inclusive organizations among each other, there is a prevalent principle indicating that "Inclusiveness is absolute and absoluteness does not accept a partner, but it rather temporarily uses other similar organizations, and once having the ability to get rid of them, it immediately does". In case of the availability of the components which strengthen the Sufi orders, whether such components are represented in financial support or assistance from internal or external forces that grant them more interests against the conversion against El-Sisi regime, they will actually do, in particular since the Sufi orders have international organizations and branches that are beyond a specific country.